When you own property that runs on wheels, you know how important it is that the wheels are in excellent condition. Whether you own a car, light truck, bicycle, motorcycle, ATV, trailer, or lawn care equipment, when you are ready to use that vehicle in Lincolnton, NC, you don’t want to spend time taking care of tire troubles. The good news is that there is a tire company that manufactures tires for all of the aforementioned vehicles. That company is Maxxis Tires. 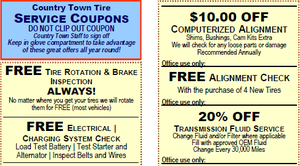 At Country Town Tire & Auto Service Center, we are familiar with all different types of Maxxis tires. Whether you need high performance, passenger, light truck/SUV, extreme off-road, winter or competition tires, Maxxis Tires has an option for you. Maxxis Tires also manufactures top-quality industrial and farm tires for your agricultural needs. Additionally, they are a worldwide company, which means that if you like to travel and you encounter tire troubles along the way, replacements should be easily accessible. Maxxis Tires are well-known for being stable, easily maneuvered, and strong. If you are in the market for new tires for your bicycle, car, motorcycle, agricultural vehicle, or other wheeled vehicle, come and check out our wide selection of Maxxis Tires. Not only can we assist you in finding the tires that will best meet your needs, but we can also help with the installation and other tire needs such as rotation, balancing, and more. When you come to us for your tire needs, you can be certain that you will receive tires of the highest quality, with service to match.